Fans have been talking about an Obi-Wan Kenobi movie for years. Meanwhile, Ewan McGregor has repeatedly said he’d like to return to the role if asked. Now, if rumours are to be believed, Disney could soon announce it as the next Star Wars Story film, perhaps as early as this weekend, during the D23 Expo. But between Marvel’s comics and the Rebels TV show, do we really need to see the further adventures of young Obi-Wan? Given McGregor’s age—along with the fact that Disney seems to be shying away from any movies set around the prequel era—the film would almost certainly be set between Episode III, when we saw Kenobi turn the infant Luke Skywalker over to Owen and Beru Lars, and Episode IV, when the teenaged Luke meets Old Ben. Since Obi-Wan’s self-appointed goal was to watch over Luke, his film would presumably be set solely on Tatooine. This era has been explored twice in the new canon: first in Marvel’s main comic, see through flashbacks as Luke reads Obi-Wan’s old journals, and more recently in Star Wars Rebels. The comics have so far included stories about the Jedi master protecting Luke and the Lars family from various threats, such as gangsters sent by Jabba the Hutt, as well as the wookiee bounty hunter Black Krrsantan; but it’s Rebels that’s told the Obi-Wan story that may have rendered a live-action film moot. In “Twin Suns”, Darth Maul arrived on Tatooine to battle Kenobi, having spent the decades since The Phantom Menace searching for the Jedi who cost him his lower half. 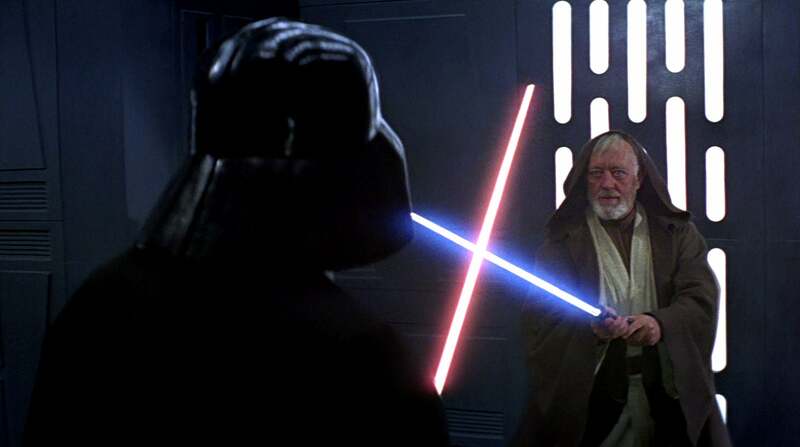 Although Obi-Wan only appears briefly, the duel between the two is one of the most compelling stories produced by the new canon. With one swing of a lightsaber, I began to worry about the Kenobi movie. It’s the culmination of a long arc for Maul seeded in The Phantom Menace and continued in The Clone Wars cartoon. The fact is the rivalry between the Jedi and the ex-Sith is so good, and such a milestone in the story of Star Wars, it’s genuinely hard to imagine what other Obi-Wan story there is to tell (especially when you add the comics to the mix). Certainly an Obi-Wan movie couldn’t just recreate the scene in live-action, since we’ve already seen it. This leaves us with a bunch of questions—and we’d like to know your answers. Do you still want an Obi-Wan Kenobi standalone movie? Would you be okay with a movie taking place entirely on Tatooine? Would you actually like to see the post-Episode I Obi-Wan/Darth Maul rivalry in live-action? Most importantly, if the movie doesn’t revisit this moment, can you imagine a better story than what we’ve already received? Now, the important thing here is the last question. Obviously, in the infinite realm of creative possibility, some epic story is out there waiting to be told. Obi-Wan was on Tatooine for about a decade and a half before Darth Maul found him; there’s more than enough time for almost anything to happen. It’s just that recent Star Wars movies have all revolved around, or linked to, important events in the other movies. Rogue One’s Death Star plans, Han Solo meeting Lando and Chewie, etc. In terms of Obi-Wan and important story beats that we’re already aware of, there’s not much on the table that could’ve happened during this window. 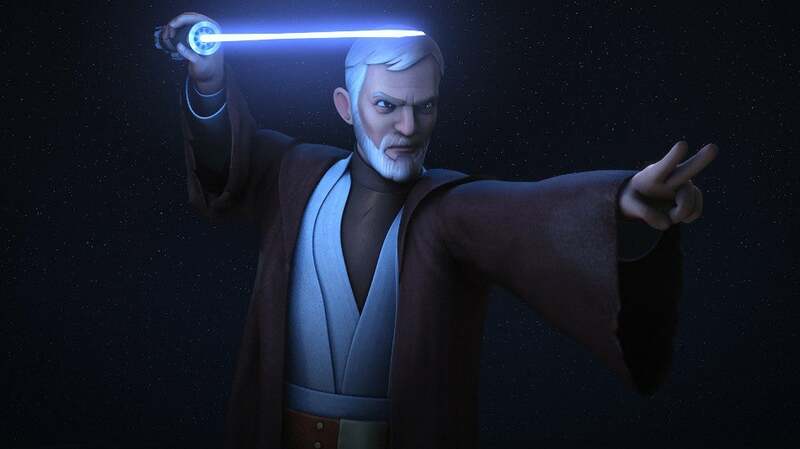 I can’t, for the life of me, think of a concept, event, or connection in Obi-Wan’s timeline that could somehow be good enough as to make that showdown with Maul something relegated to TV and itself movie-worthy. But maybe you can. Regale us with your ideas—and concerns—in the comments.